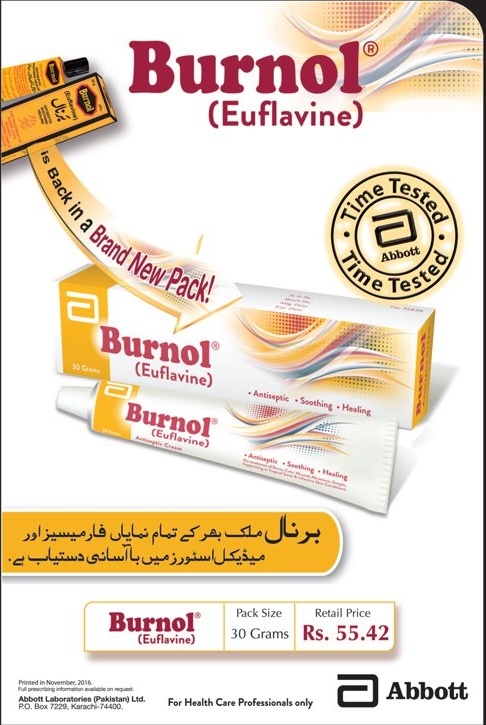 Burnol is a most used tube for healing or used for treatments of Burns, Wounds, Cuts, Abrasions, Simple Suppurating or Tropical sores, and Ineffective Skin conditions available in 30grams tube which contains Euflavine 0.1gm w/w. on each 100gm. Everyone can used this tube and also keep in homes for quick treatments of cuts, burns etc.